Stories of Hope – Little Hearts Family Group Inc. Stories of Hope is a collection of stories from Saskatchewan families who have faced their worst nightmares and have come through the other side! To see their stories, simply choose which Defect you would like to see stories about. 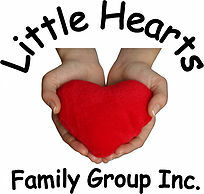 Check out the amazing video put together by youth from Saskatchewan affected by CHD. Video created at CHAMPS camp!